Preservation and conservation of marine resources in the South Pacific is paramount for government organizations for they not only represent a source of income for local coastal communities but, more importantly, because they are an integral part of the Fijian culture, heritage and way of life. Various cutting-edge technologies have sprung in the past to help in the understanding and study of benthic environments. 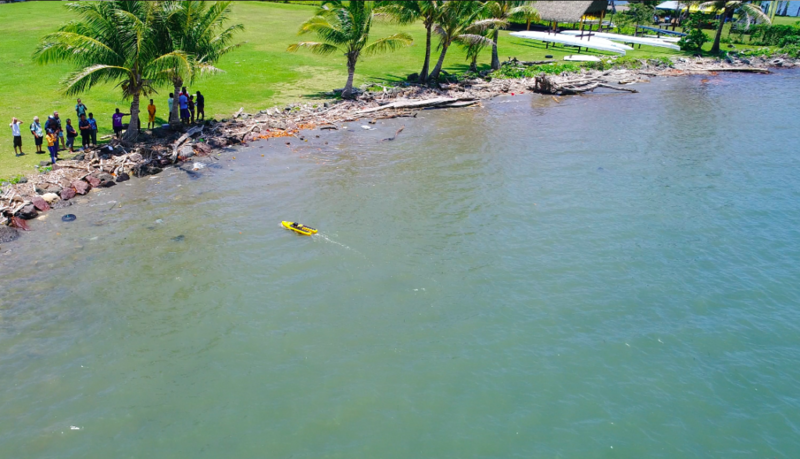 Recently, our South Pacific Flying Labs team has ventured more into marine robotics after acquiring two underwater remotely operated drones (ROVs). Here are our lessons learned on using underwater drones. We are now looking into investing and exploring surface water drones for a more holistic ridge to reef mapping project. 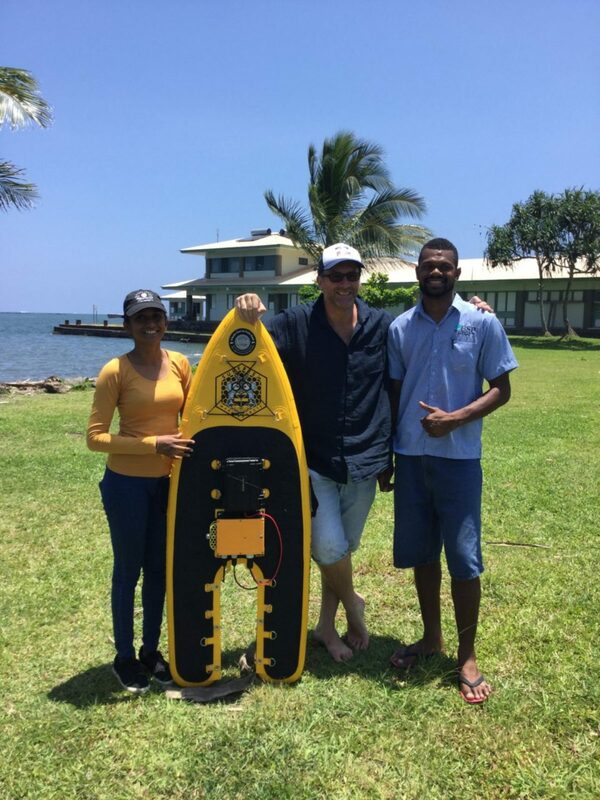 The Fiji-based team was fortunate enough to gain access to and receive training on, the SurfBee water drone by FireTail. The training, led by FireTail’s founder Jack Hurley, was held on the November 30, 2018, at the University of the South Pacific’s Lower Campus in the capital city, Suva. It was attended by not only members of the Flying Labs family but also representatives from School of Engineering at USP and local businesses. The day-long training was divided into a theoretical and practical component, and it took no more than four hours for the participants to familiarize themselves with this new and innovative platform. The two sessions focused on basic boat specifications and setup, ground control, manual control, auto control, Lowrance and Reefmaster use. The software SurfBee worked with was from the Worker Open Source range with two T200 Blue Robotics thrusters which can be used with PC, Android and IOS. Such training comes at an optimal time as the South Pacific Flying Labs gears up for Phase Two operations with funding kindly provided by the Australian Department of Foreign Affairs and Trade. Now, the only challenge that lies ahead is making sure that the platform’s life is not shortened by debris and plastics which easily get stuck in the propellers. Plastic waste is still a very serious issue in the South Pacific and is therefore on the Labs’ project horizon. If invested in, the platform could be beneficial when it comes to studying coastal communities’ marine resources with nearshore underwater photography and bathymetry study to look at surge models for coastal inundation.